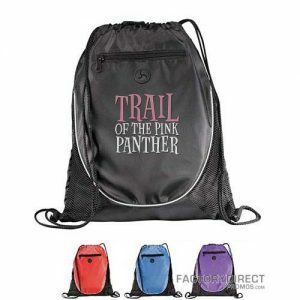 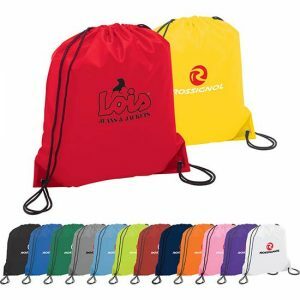 Made of 210D polyester with contrasting black handles and black trim on corners on bottom, this drawstring sports backpack is full of style and extremely sturdy offering years of use and in turn, marketing exposure for your brand, business or event. 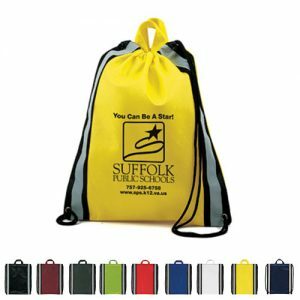 The drawstring closure makes it easy and fast to get things in and out and this bag is of course fully customizable. 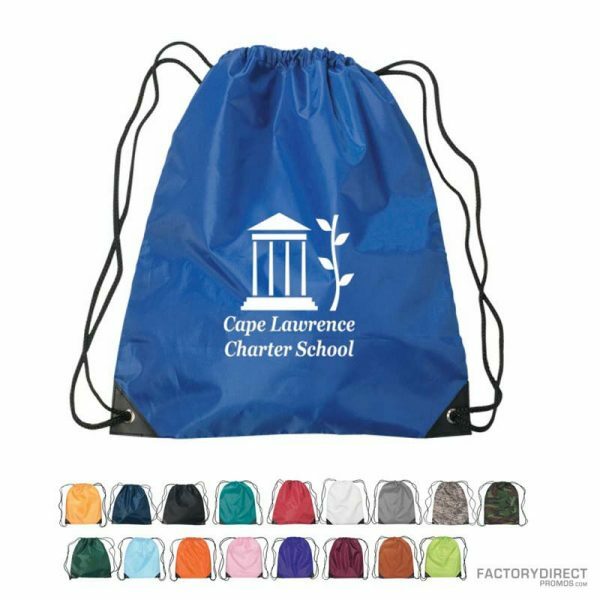 Add pockets, change the size or customize colors to get the perfect fit for your clients, prospects, employees or attendees.